They’re just four numbers: 2-1-9-4. They aren’t even in sequence. If a childish voice read them aloud, you might think a preschooler was attempting to count to 10. If you work for the IRS, you know 2194 is the number of the Disaster Resource Guide for Individuals and Businesses. If you served in the Air Force or are a pilot, you might associate 2194 with a record setting speed. If you live in Kansas, and participate in KPERS, 2194 is a piece of legislation that focuses on employee and employer contribution rates to your retirement account. The real significance of 2194 is its association with Veterans Day. 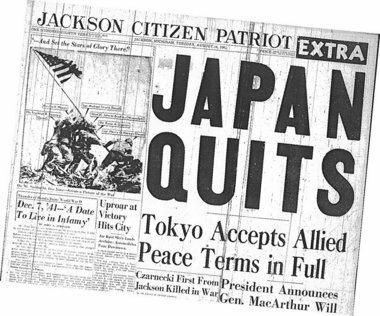 2194 is the number of days between the start of World War II that began with the German invasion of Poland on September 1, 1939, and ended with the Japanese surrender on September 2, 1945. The first 828 days of the 2194 saw the involvement of the United States limited to military aid to the Allied Forces through the lend-lease program, but this would change on December 7, 1941. The bombing of Pearl Harbor fully engaged the United States, and it proved to be the fulcrum of World War II. Somewhere around 418,000 Americans gave their lives in sacrifice to a cause that was much greater than they were as individuals. There are 9,387 of them who lie in rest on the 172.5 acres of the Normandy American Cemetery, and they testify to the significance of 2194. Among the 9,387, there are 307 unknowns, three that were awarded the Medal of Honor, 4 are women, and there are 33 pairs of brothers buried side by side. Tomorrow is Veterans Day. When you go to bed tonight, write 2194 on a piece of paper, so it will remind you of the significance of tomorrow—a day that far too many take for granted. Perhaps that piece of paper with 2194 written on it will remind you that freedom is not free. 2194 is a number full of sorrow, death, separation, pain, and unfulfilled dreams. It also includes many acts of heroism by those we now call veterans. Tomorrow is their Day, so take the time to thank a vet for the freedom you enjoy.